· Sardar Vallabhbhai Patel was born on 31 October, 1875, in a small village in Nadiad. His father’s name was Jhaverbhai Patel, he was a simple farmer and his mother’s name was Laad Bai she was a simple lady. 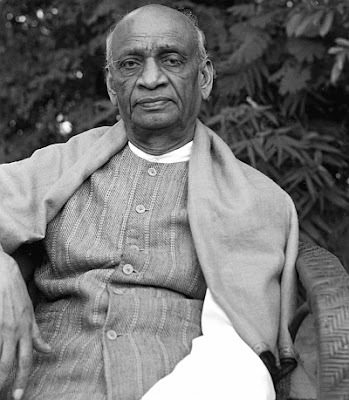 · From his childhood itself, Sardar Vallabhbhai Patel was a very hard-working person. He used to help his father in farming and studied in a school at N. K. High school, Petlad. He passed his high-school examination in 1896, during his school days he was a very wise and intelligent student, but at that time his financial conditions was not good, his father decided to send him to college but Vallabhbhai refused. · Around three years Sardar Vallabhbhai Patel stayed at home, worked hard and prepared for the District Leader's examination, hence passing with very good percentage. · As we know that he was an Indian barrister and statesman. Sardar Vallabhbhai Patel was a social leader who played a most important role in the country's struggle for independence and guided its integration into a united, independent nation Important Links. · As we know that Sardar Vallabhbhai Patel generally known as the Iron Man of India, Sardar Vallabhbhai Patel was one of the founding fathers of the Republic of India. Sardar Patel was one of Mohandas Gandhi’s closest associates, and he organized and led several, Satyagraha during India’s struggle for freedom from British rule. 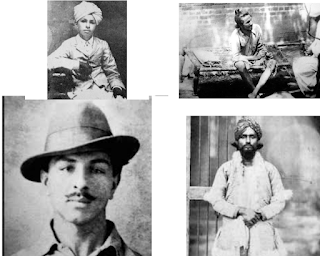 · In 1917, Sardar Vallabhbhai was selected as the Secretary of the Gujarat Sabha. The next year, when there was a flood in Kaira, the British insisted on collecting tax from the farmers. Sardar Vallabhbhai Patel led a massive "No Tax campaign" that urged the farmers not to pay their land. The peaceful movement forced the British authority to return then land taken away from the farmers. His effort to bring together the farmers of his area brought him the title of 'Sardar' to his name. · In 1928, Bardoli Taluka in Gujarat suffered from floods and famine. In this hour of distress the British government raised the revenue taxes by thirty percent. Sardar Vallabhbhai Patel took up cudgels on behalf of the farmers and appealed to the Governor to reduce the taxes. The Governor refused and the government even announced the date of the collection of the taxes. Sardar Vallabhbhai Patel organized the farmers and told them not to pay even a single pie of tax. The agitation took on for more than six months and after a deal between the government and farmer's representatives, the lands were returned.